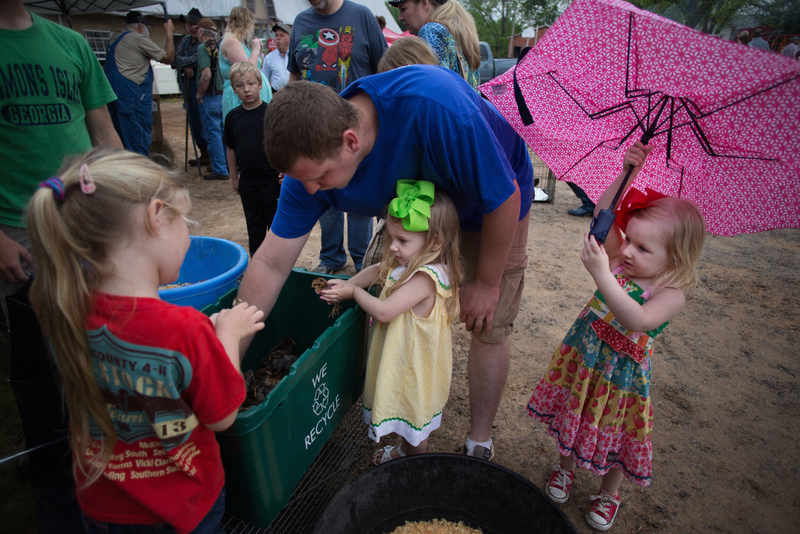 Alexis Prickett (3) holding umbrella while her Dad, Codi Prickett helps Peyton Peters (2) in yellow dress hold a baby chick at Barnharts Chicken Swap this past Saturday. They are from Burke County. 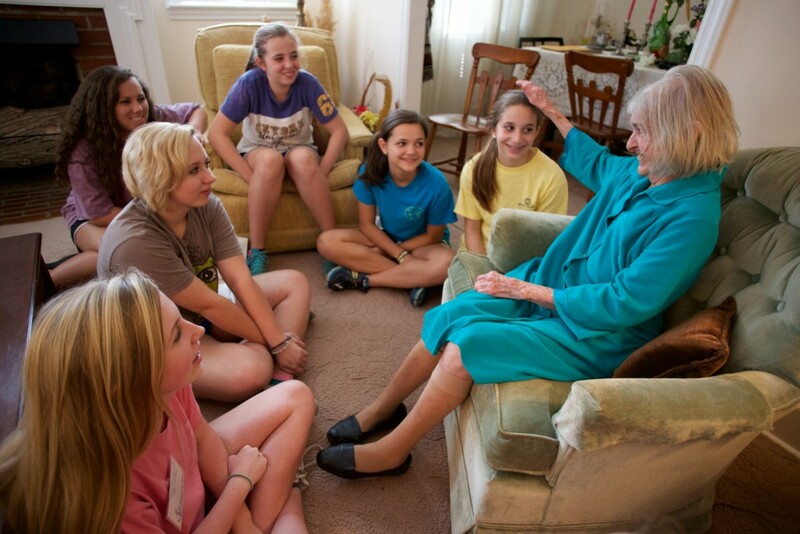 Girls from Burke County enjoy a visit with 103 year old Elma Logue Economos, who still lives at her home in Waynesboro. Ms Elma talked to the teens about growing up in the early 1900s and her life of faith. The girls were doing service projects for the 4th-annual PluggedIn community girls event sponsored by several area churches held in Waynesboro. Pictured L – R Madelyne Goode, Maggie Brogan, Bailie Ruffo, Katelyn Tobat, Sara Boothe and Claire Johnson and Ms Elma. We recently were asked to help with some design work for ads used in the annual Missouri Baptist Convention. We’ve been involved with the Bucket Project for the past couple of years with Baptist Global Response. Our recent trip to Kenya and Swaziland was primarily a filming project; but there were many still photo opportunities to help tell stories. 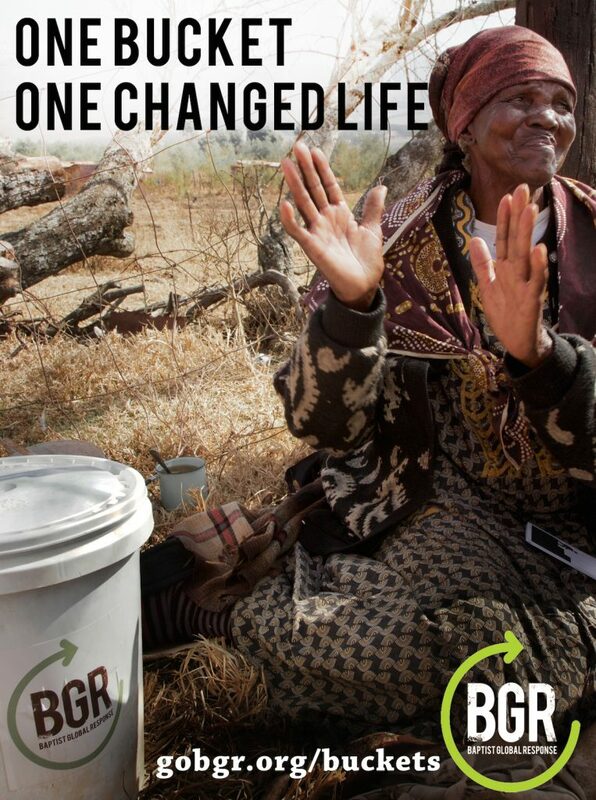 This ad features an old lady who received a BGR Hospice Bucket and was overjoyed at the thought of the love that went behind this buck. 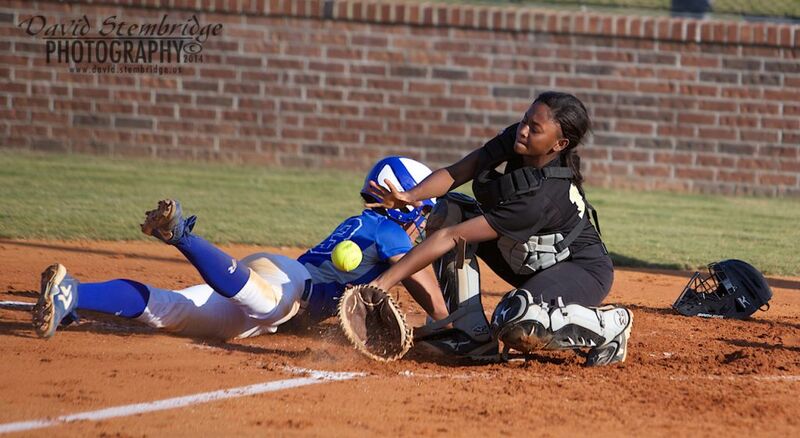 Amber Hills slides into homeplate to score against Thomson. 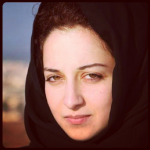 Fighting for Human Rights with a camera and a story. 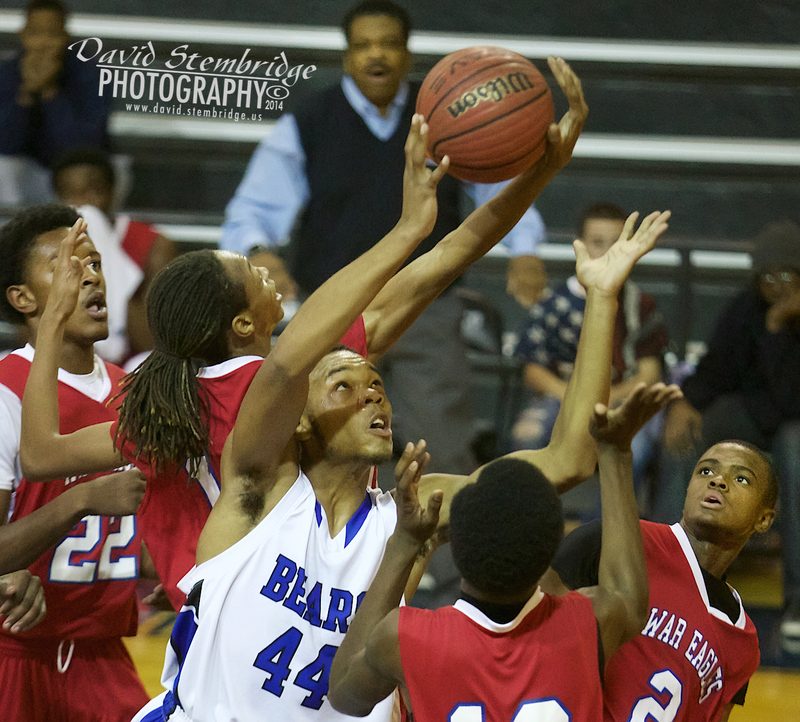 This past year I began covering Sports for Burke County High School for our local newspaper The True Citizen. 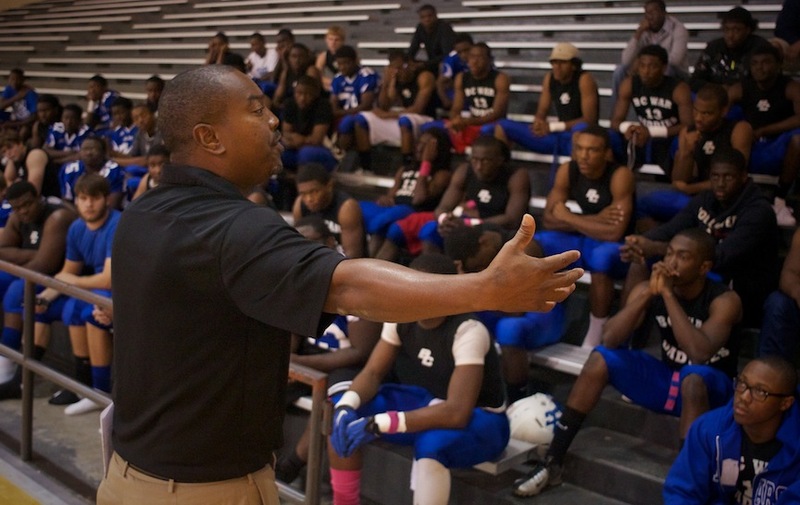 We noticed something a little different about Coach Parker’s approach, and pursued it a little deeper. This is a story that Lorretta wrote on an aspect of the program that really stood out. 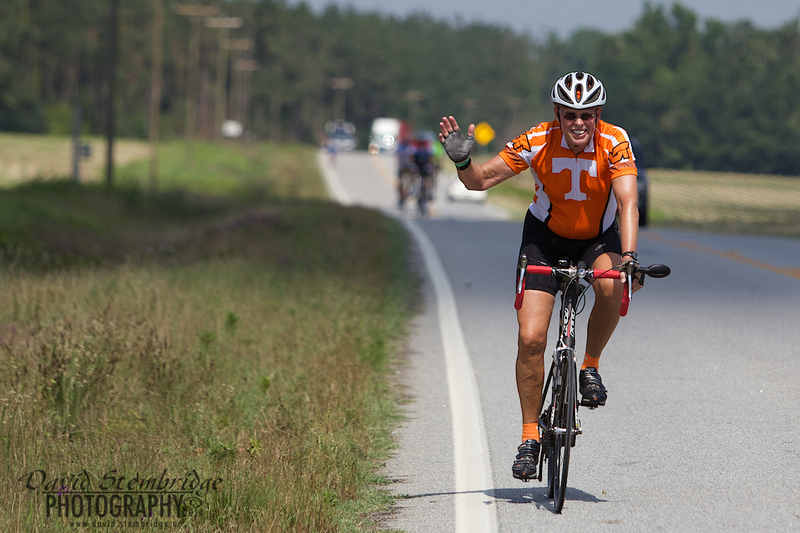 Please head over to Lorretta’s blog to read the story!